Let’s be honest there are no secret spots in Bali anymore. 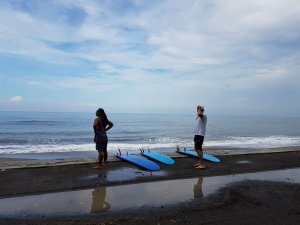 There are, however, less known beaches and less crowded waves. Kedungu and Yeh Gangga near Tanah Lot temple are such examples. Apart from the beaches themselves, what I love about these spots is the way to get there. Endless rice fields, untouched beaches and small Hinduism villages take you back to how Bali should have looked some years ago. 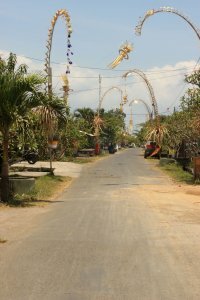 You feel like time has stopped and tourists have forgotten to set foot on this part of Bali. Kedungu is an easier spot, perfect for smaller days. The beach itself is ideal if you don’t like crowds. It has practically nothing apart from one or two warungs. The wave is fun, long and quite mellow. Though it is a relatively easy wave, when the swell picks a bit, you should be prepared for some quite big sets to come out of the blue. For some beginners, this was one of their favourite spots, especially on smaller days. For others, it was when the dreadful wipe out day happened. 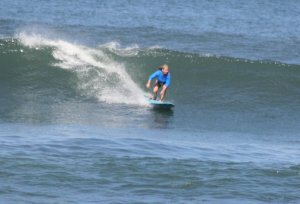 So if you are less comfortable with Bali waves, better try it out on a small swell day. Yeh Gangga is a bit further out on the north after Kedungu. This is a much more difficult spot, mainly for intermediate to advanced surfers depending on the swell. The beach itself has volcanic black sand and is a beach break. It works up to 5ft and is generally recommended on a small swell day. The wave is powerful and tubing but can also be fun. On a big swell day when all the good surfers jump in, it is also worth to just sit back and watch them get tubed or throw some aerials. 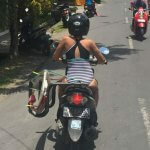 My advice, for both beaches and especially Yeh Gangga, do not try to make it on your own, especially if you don’t know your way around in Bali. It is much safer and it will save you lots of time of wandering around to ask and pay a local to take you there.